Brown Red Noticeboard (RAL 8012) Poster frames which are lockable and waterproof. Available in eleven standards sizes as well as bespoke sizes. 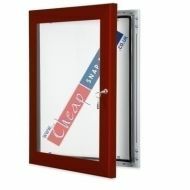 This brown red poster frame can be displayed portrait or landscape, and door stays keep the door open whilst posters are changed. 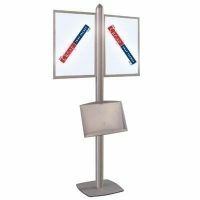 This is a high specification poster display frame and a popular external poster frame. Delivery only £10 + VAT to all UK mainland including London.